Many homeowners have the same initial thought about home security systems and choose not to install one because of the cost. Although they may not be the cheapest component to add to your house, they’re certainly more affordable now and offer even more than before. Technology continues to grow more and more every year, which allows Strada Security, experts in Orlando security systems, to provide the best protection homeowners are looking for. We understand the importance of safety, which is why we want to explain why installing a home security system is so vital. Several families may have family members with certain medical conditions that could create the need for immediate medical assistance should an issue arise. Whether you have elderly parents, loved ones with special needs, or even family members with critical health conditions, all would benefit from some form of medical emergency alert system. There are security systems that offer this feature, and, through the use of a remote control button or other easily accessible alert devices, they’ll be able to call for help and immediately have medical assistance on its way. With modern Orlando security systems, you won’t have to depend on smoke detectors to let you know of smoke or a fire. Many newer systems are advanced enough so that smoke can be detected sooner, and they’ll identify where the heat has originated from as well as contact authorities depending on the severity of the problem. The U.S. Fire Administration states that in just thirty seconds a small flame can turn into a full blown fire, so be sure to have all safety precautions covered with your security system. Carbon monoxide poisoning can be a serious issue for all homeowners that use gas throughout their home to fuel several features. Stoves, fireplaces, and heating systems can all use gas, and each one presents the potential for leaking into the home. This gas is odorless and colorless, making it difficult to know if a leak has occurred. In order to keep you and your family safe at all times, you’ll want to ensure enough carbon monoxide detectors are strategically placed throughout your home. Since this gas can’t be detected by humans, you’ll need to rely on your detectors to alert you of any possible leaks. Home security systems have the option to connect with these detectors and will even contact proper authorities in the event of a leak. With the rise in home automation popularity, homeowners are learning how they can use this feature to help keep home energy costs low. 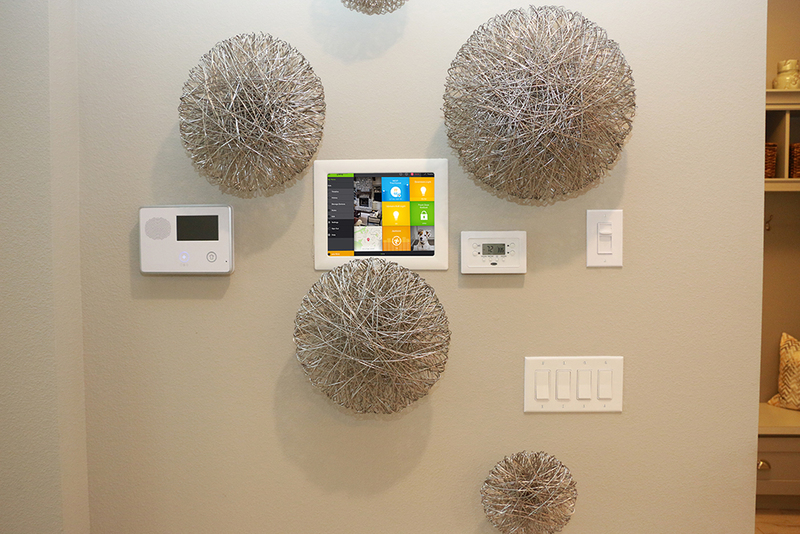 A home automation system grants homeowners the ability to control nearly all electronic components and appliances in their home from any location. This feature is useful because homeowners can adjust their thermostats anytime they want, helping prevent any waste of energy. Interior and exterior lights can also be switched on and off allowing you to come home to a lit home or even turn off any lights you may have left on accidentally. This security feature also gives the impression someone might be home even if they aren’t. Complete remote control of your home while you’re away provides peace of mind to all homeowners. We offer Orlando security services to all homeowners in need. Over the past ten plus years, we’ve provided clients with the best customer service available and will always continue to do so. Contact us today at 877-906-7772 if you think it’s time you’ve had a security system installed in your home.